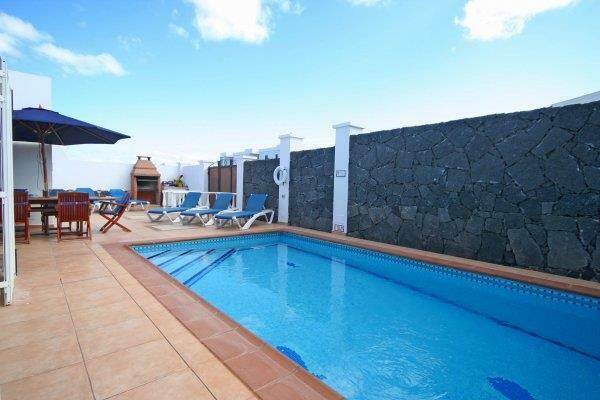 This is a delightful 3 bedroom Las Calas villa, only 4 minutes from the beautiful white sandy beach of Las Cucharas, and 5 minutes from the main Square with it's many restaurants. Having never been to Lanzarote before we were delighted with our stay. Location was perfect for us to explore the island. Weather was hot. Villa was excellent. A thoroughly enjoyable week. Second time at Villa Rosa. Great place to stay. Very central to all the restaurants and bars. HiperDino just round the corner. Villa has everything you need to enjoy and relax on holiday, a proper home from home.